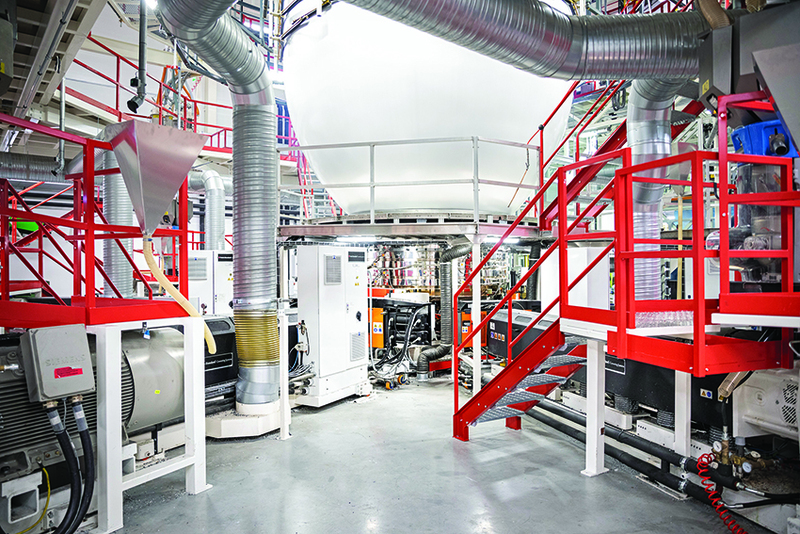 In only two years since installing a seven-layer Davis-Standard blown film line, Rani Plast of Finland is experiencing profitable outcomes for its agricultural film operation. Since the line’s start-up in August of 2016, Rani Plast has expanded its family-run business by optimizing production, developing its distributor network and introducing new products. At the time of installation, this was the largest seven-layer blown film line Davis-Standard had ever built for a customer. Ahlback explained the demand for silage films, one of Rani Plast’s largest markets, has risen due to the increased size of farming operations. Silage film provides an economical way to preserve and protect feed for animals. 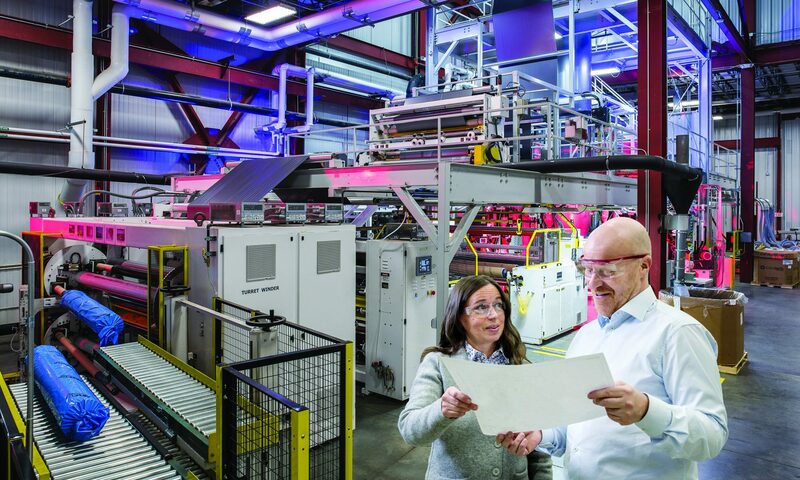 The seven-layer structure has helped Rani Plast optimize mechanical film properties for this film in a manner not previously possible. In addition to silage, Rani Plast uses the seven-layer line for making wider films used in covering peat and turf. The line’s design is a reflection of careful planning and customized engineering. A 2.3-meter, seven-layer Centrex IBC die has been an integral part of performance. This die supports enhanced film quality while providing Rani Plast with versatility for their diverse portfolio. This includes the capacity to process high-quality films with optimized coextrusion ratios for thicker skin layers and low-percentage core layers for barrier-based structures, as well as non-barrier structures using a variety of polymer blends. The die and tower are capable of producing a bubble up to 23 meters unfolded at high-output rates with a dual-lip, automatic profile control air ring. The line’s seven Davis-Standard MAC extruders are fitted with DSB® feedscrews for homogenous mixing and low-temperature melt streams, essential to film quality and the production of large width films. For more information about Rani Plast, visit www.raniplast.com. For more information about Davis-Standard’s blown film capabilities, contact Carl Johnson at cjohnson@davis-standard.com.